Bridal Shower Soap Favors. 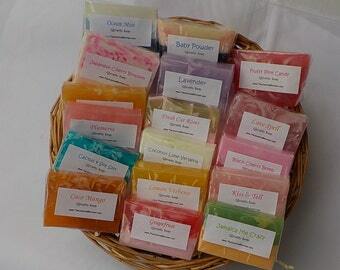 These are our really popular sample soaps which you can now purchase and choose your color theme. Each soap is 1.75 to 2 oz and is wrapped in cello and labeled with the scent name. Approximately 3 x 2 x 1/2 inch. Labels can be customized to include names or a date or simply "From My Shower To Yours." Add to comments when checking out, what you would like. From the first drop down box, choose the quantity of soaps you would like. Then choose your color selection. 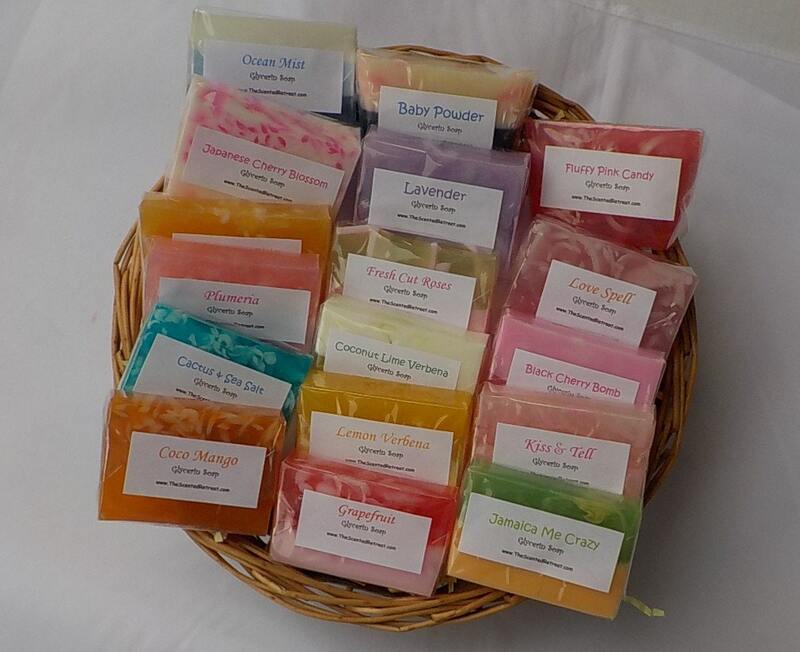 Depending on the quantity selected, you will receive a minimum of 7-8 soaps in each scent and design. The larger the quantity, the more designs I can add. You can also choose to have them all in the same scent, please let me know. Email me if you need these in a hurry and I can let you know if we can get them out quickly to you, as they are all made to order. Please email me for a quote with your quantity. *****Photos are stock photos and may or may not be the samples you will receive******. The soaps are the perfect size for our Bbay Shower Guest Bags and they smell amazing! Great bridal shower gift. Scents are wonderful!